Yup, that's right: if you've been following along with my posts, this is the THIRD post on my Sun Bum/beach bum nails. If you missed the last two, you can check them out ici et ici. 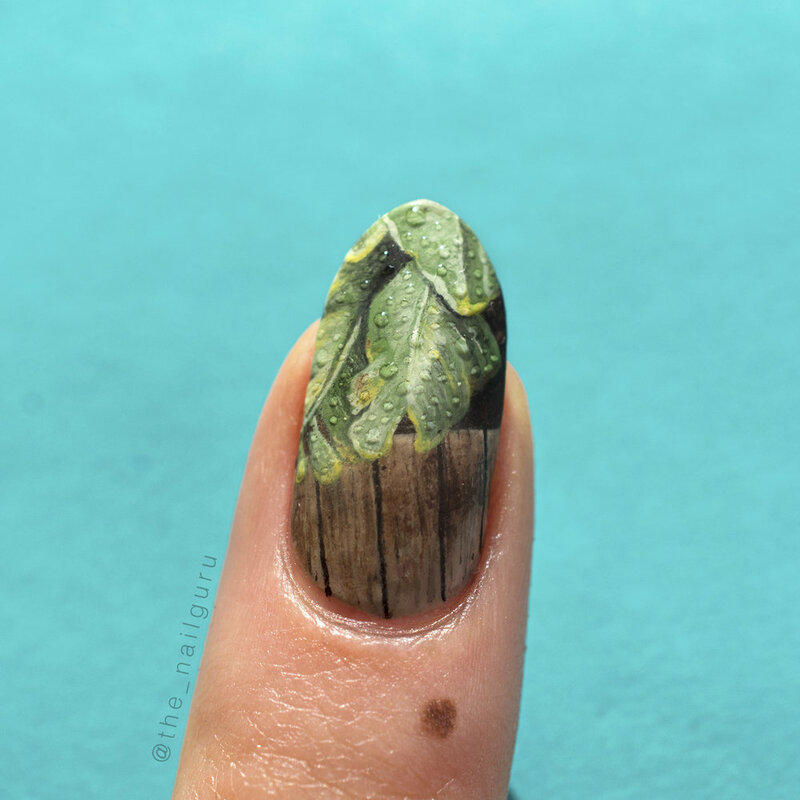 For this post, I'm going to focus on the leaf nail I painted. After having the leaf nail art on for a couple of days, I decided to add a matte top coat to it (Essie's Matte About You) along with some water droplets made with a gel top coat. To do that, I applied tiny beads of gel polish onto my nail, then cured them for about 30 seconds. If the droplets weren't raised enough, I would add a second layer of gel to the spot. And of course I have some more close ups of it. 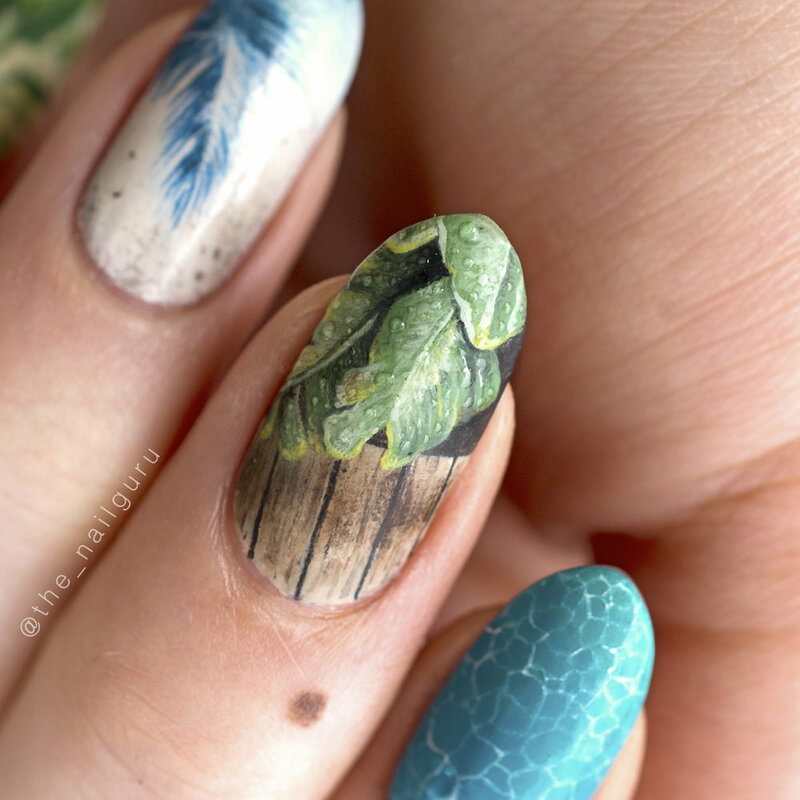 Hope you guys enjoyed this post, and I'll be back again next week with the final installment of this lil' nail art series!